Legal texts are some of the most prolific materials which survive from medieval Scandinavia, and they are unparalleled sources of information for those researching legal history, linguistics, literature, economics and a number of other disciplines. The project aims to make this trove of historical documents more accessible both within the countries in which they were written and to any and all interested parties internationally. Material for the dictionary is drawn from more than twenty law texts composed in medieval Sweden, Denmark, Norway, Iceland, Gotland and the Faroes. Terminology from each region has been retained, so users will be able to access entries regardless of which medieval language they search, and some terms will feature brief encyclopedic entries highlighting the difference in usage between individual laws or geographic areas and how they changed over time. Parts of the dictionary will also function as a limited concordance, in particular for rare terms or definitions of common words which have a specialized usage within the realm of law. The Lexicon will be laid out as a standard reference work, but it differs in principle from its predecessors. 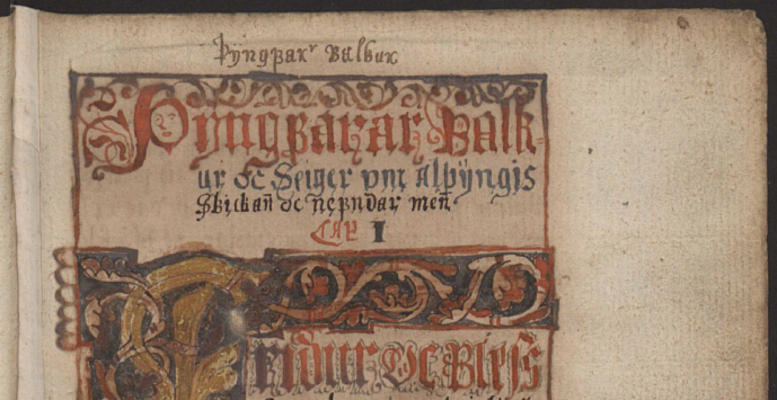 It will be the first dictionary to present the legal milieu of medieval Scandinavia as a unified whole by combining examples from several languages to form single entries. The project will also be key in shaping the language of academic discussions of medieval law through the creation and dissemination of new legal terms in English for medieval concepts. Such terms represent one of the gaps in the previous English dictionaries produced by Geir Zoega and Richard Cleasby & Gúðbrandur Vigfússon.